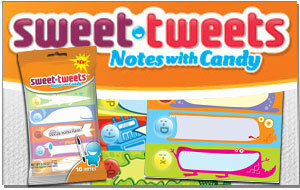 Created by Bazooka Candy Brands, Sweet Tweets are small, decorated and colorful note cards featuring cute, candy emoticons attached to each. Coming ten to a package, they retail for about 99 cents available for purchase online at www.sweettweetsnotes.com and will be available at retailers nationwide. You can even get free shipping right now! Take a walk down memory lane and think about that one special message that your mom used to say to you, or placed in your lunch box or book bag.
" 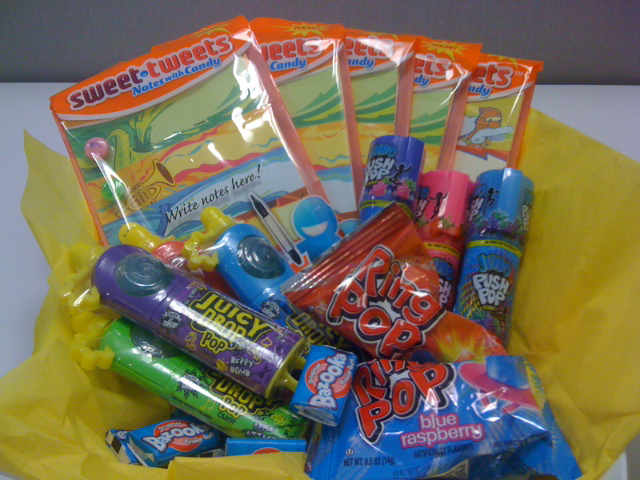 #win 1 of 5 @SweetTweets prize packs from @chascouponmom at ActingBalanced http://bit.ly/muGpcz #SweetSurpriseGiveaway #giveaway ends 5/20 "